Old Testament - Yesterday's Flood readings in Genesis were about judgment - today's readings are about redemption! 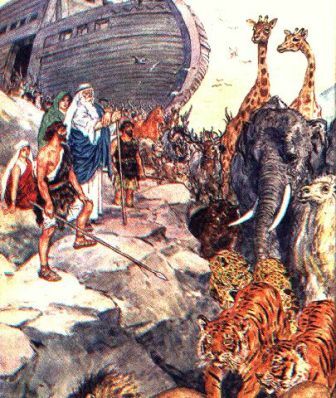 Chapter 8 verse 1 stood out to me: "But God remembered Noah and all the animals in the boat." I like that phrase "But God remembered" - but I have a hunch that it is a bit understated in God's love and compassion for Noah and all of creation. Verse 11 is interesting in that if you were ever wondering where our modern day peace symbol of a dove with an olive branch comes from originally - now you know - God's peace symbol to Noah here in Genesis 8:11! "This time, toward evening, the bird returned to him with a fresh olive leaf in its beak." In Genesis chapter 9 verses 8 through 17 we are reading about the first major covenant of God's in the Old Testament called the Noahic Covenant. There are 6 more major covenant's that we will get to later this year - The first Abrahamic covenant, The second Abrahamic covenant, The Sinaitic Covenant (Moses on Mt. 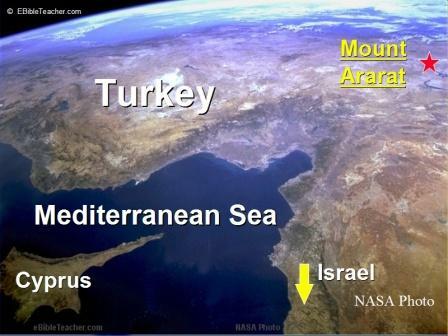 Sinai), The Phinehas Covenant, the Davidic Covenant, and the New Covenant. So - Covenants are a big deal! God is a God of covenants! 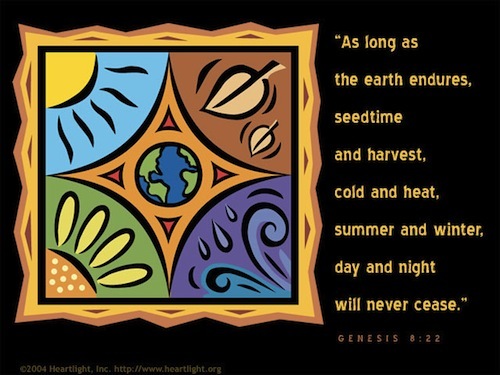 This one is laid out in all 10 verses but can basically be summed up in verse 11: "I solemnly promise never to send another flood to kill all living creatures and destroy the earth." 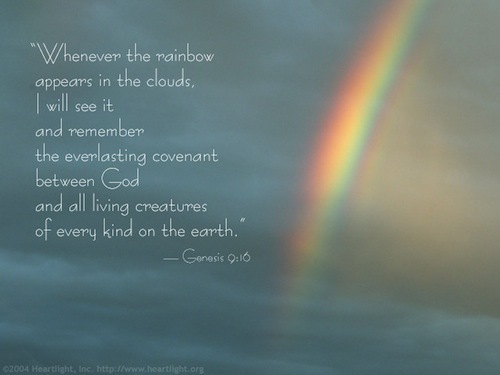 And the rainbow is given as a sign of The Noahic Covenant. Genesis chapter 9 verse 3 is intriguing. I forgot to mention this in previous day's posts - but, I read a commentary on the Garden of Eden and even thereafter that early descendants of Adam & Eve were strictly vegetarians - God had given Adam & Eve the fruits & plants in the Garden to eat - and then Adam's son's cultivated the ground for plants / food. But here in verse 3 God is now saying that it is okay to eat animals' meat for food: "I have given them to you for food, just as I have given you grain and vegetables." Very interesting. We'll get more details on clean and unclean animals per the Law in our OT readings early this year. In the remainder of chapter 9 we read about Noah's son's Shem, Ham and Japheth. Initially I asked myself, why is Noah so upset with Ham? The answer lies in verse 22: "Ham, the father of Canaan, saw that his father was naked and went outside and told his brothers." The last 3 words of this sentence were the issue - Ham told his brothers his father was naked. Instead of discreetly just covering up his father on his own, he broadcast the issue to his brothers. Are there times in our life where we could discreetly take care of problems of others, or could confront the individual directly about the problem, but instead we broadcast what someone else's problems are? Is this the right thing to do? Is this the godly thing to do? 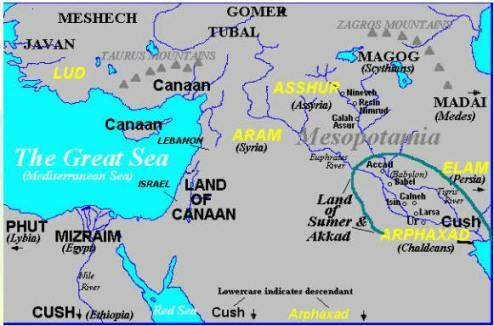 Bible.org's commentary on today's readings in Genesis titled "The Noahic Covenant" is at this link, "The Nakedness of Noah" is at this link, and "The Spread of the Nations" is at this link. New Testament - Matthew chapter 4:12 begins Jesus' public ministry! Verse 17 is of note: "From then on, Jesus began to preach, "Turn from your sins and turn to God, because the Kingdom of Heaven is near."" You'll note that Jesus is echoing earlier words of John the Baptist - turn from your sins - repent. The message is obviously of utmost importance - then and now. 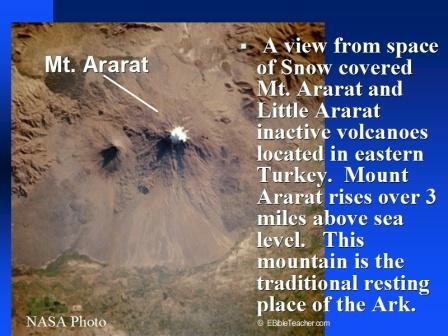 And then you'll see several times in the gospel of Matthew the term "the Kingdom of Heaven." You'll later see in Mark and Luke's gospel's a similar term, "the Kingdom of God." They basically mean the same thing - but Matthew was using the term "Heaven" instead of "God" because he was writing for a Jewish audience, which did not like to verbalize God's name (out of respect). Per Zondervan's NIV Study Bible, the Kingdom of Heaven is essentially brought about through the ministry of Jesus and those that have faith in Him - the establishment of God's rule in the hearts of people, the overcoming of evil, the removal of the consequences of sin, and a new order of peace. 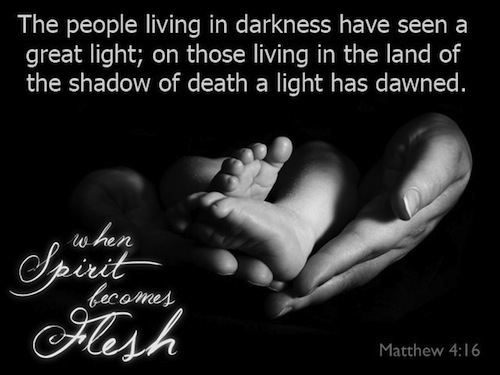 The idea of God's kingdom is mentioned nearly 50 times in the gospel of Matthew. How have you seen God’s Kingdom manifested in your life? How have you seen that the Kingdom of heaven is near? What does repent meant to you? 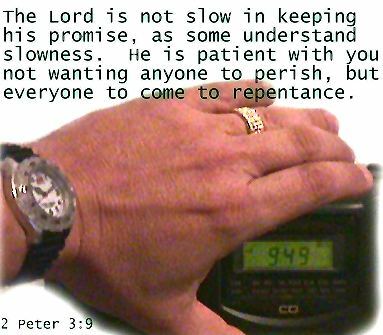 Is repentance a one time thing or an ongoing thing our lives? Verses 18 through 20 is something that I think all of us should reflect upon in our own lives: "One day as Jesus was walking along the shore beside the Sea of Galilee, he saw two brothers--Simon, also called Peter, and Andrew--fishing with a net, for they were commercial fishermen. Jesus called out to them, "Come, be my disciples, and I will show you how to fish for people!" And they left their nets at once and went with him." What would you do if you were at work today or tomorrow and Jesus came to you and said - "Come, be my disciple, and I will show you how to fish for people!" Like Peter and Andrew, would you go at once with Jesus? This is not an easy question for us to answer. But I think it is worth asking. I have a great friend who indeed felt the call of Jesus to leave his very nicely paid architect job in the U.S. and to become a missionary architect in Asia - building primarily hospitals for communities that need them. The point of this passage I think is this - Jesus is indeed calling each one of us to follow Him. We may not need to leave our jobs. (But some of us may...) The call may entail leaving some of our luxurious ways or lazy behaviors behind to truly follow Him. The call to follow Jesus certainly entails leaving our sinful ways behind. Will you follow Jesus? Has he called you? Do you believe he is calling you now? Will you go at once and follow His Call? Verse 23 nicely encapsulates Jesus' 3 main ministries that we will see over and over again in the gospels - 1. teaching, 2. preaching, and 3. healing. "Jesus traveled throughout Galilee teaching in the synagogues, preaching everywhere the Good News about the Kingdom. And he healed people who had every kind of sickness and disease." Will you allow Jesus to teach you this year? Will you even allow Jesus to preach to you this year? And, this may be the toughest to surrender to - will you allow Jesus to heal you this year? My friends, we all need some healing from Jesus! Bible.org's commentary on our readings today in Matthew titled "The Commencement of Jesus' Ministry" is at this link. Psalms - Psalm 4 is a wonderful Davidic Psalm. Verse 7 stood out to me today" "You have given me greater joy than those who have abundant harvests of grain and wine." Do you believe that God's Spirit can give you greater joy than any amount of money or material goods or even human love can give? Will you seek a deeper relationship with God this year and ask God for this holy joy? Proverbs - Proverbs 1:23 is beautiful to think about: "Come here and listen to me! I'll pour out the spirit of wisdom upon you and make you wise." Do you want the spirit of wisdom this year? Do you want to be wise? Do you believe studying the Bible can give you the spirit of wisdom? 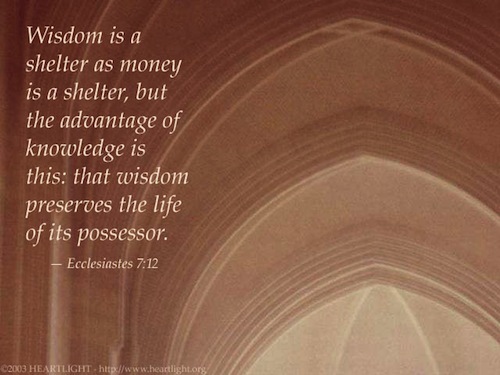 Will you pray to God for the spirit of wisdom in this new year? Bible.org's commentary on today's readings in Proverbs titled "The Two Ways" is at this link. Worship God: Reading about God remembering Noah in Genesis 8:1 and reading about Jesus calling the disciples in Matthew 4 today reminded me of the fantastic song by Israel Houghton and Michael Gungor called "Friend of God." Here's Israel leading worship to this amazing song! Are you a friend of God? Click here to meet your eternal Friend! Prayer Point: Based on Matthew 4:19 above, pray to Jesus about any ways He may specifically be calling you to follow Him in this new year. 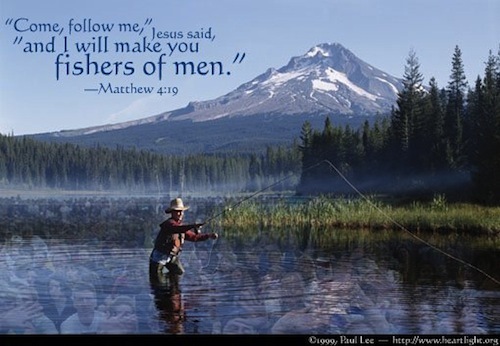 Pray to Jesus that he would make you a fisher of men and women this year. Comments from You and Questions of the Day: We read about Jesus calling Peter and Andrew in the Gospel of Matthew today. Do you think Jesus still calls people today? Can you share with everyone in the Comments section below a time in your life when felt that you were called by Jesus? Maybe it was a time when you were called to follow Jesus for the first time or maybe it was a call to love or serve others in a new way for you? Do you think that Jesus is calling you to something new in your life now in this new year? Do you know what Jesus is calling you to do? Will you do it? Also, what verses or insights stand out to you in today's readings? Please post up by clicking on the "Comments" link below! Mike – In your comments regarding Noah, the dove and the olive branch, I, for the first time see an example for us in how to walk by faith and not by sight. I believe that in every part of the Bible, Old and New Testament redemption, salvation, righteous living and holiness that point to the Messiah and His Work on the cross, can be seen. It just takes time and persistence to see it or have it revealed. When Noah, sending out the raven that flew back and forth until the earth was dry and then sending out the dove, did this, he set an example of how to walk by faith. The text shows us that even thought there was a window on the Ark his eye sight was blocked. He knew that the earth was out there but he was not able to use his five senses to determine the condition of the ground. We are told by the apostle Paul not to walk in or after the flesh especially in his letter to the Romans. 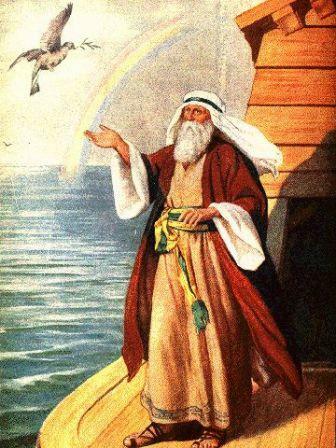 Moses relied on two birds that feed on and live amongst two entirely different food sources. The olive branch represents the anointing, the Anointed One. The raven flew back and forth feeding on flesh, the dead things of this world. Moreover, there would have been a lot of “flesh” floating on the water and the raven had a field day. But the dove can’t hang out with the dead, she/he needed the “Annointed One,” the Olive Branch, in order to live upon the earth, so too those called by His Name. Please note the above may just be the product of a very fertile imagination. Comments, of the day: 1)yes, I believe Jesus calls people today-He is calling us to repent- change our ways- the Kingdom of Heaven is here-we just need to freely receive it. 2) There's not any one time. I have felt God calling me- I was called to serve from an early age and as an adult- a lady mentored me at a Methodist church and I assisted in bible study and lay speaking, I was called to start a life group in our home, it was after my mom died, and that group filled my heart and soul so much. I thoroughly enjoyed it. The Lord called me to reconciliation years ago with my extended family. So, list goes on and on-I have no regrets- been blessed with each step of the way. Hello, I believe that God called me out from a corporate job into teaching 21 years ago. I know firsthand that if we allow ourselves to be receptive to Him, He will certainly guide us.